Evolve your data with the innovators in social analytics and leaders of AI-Powered Consumer Insights and Digital Media Intelligence. Combine your data sources with powerful integration to get the big picture from Google Analytics, Salesforce, Crimson ForSight, Brandwatch Analytics, Buzzsumo, Falcon.io, Hootsuite Impact, IQ Media, Pi Datametrics, Storystream, Google Slides and Google Sheets. For those serious about data, the icing on the cake is its API development framework to build custom integrations. 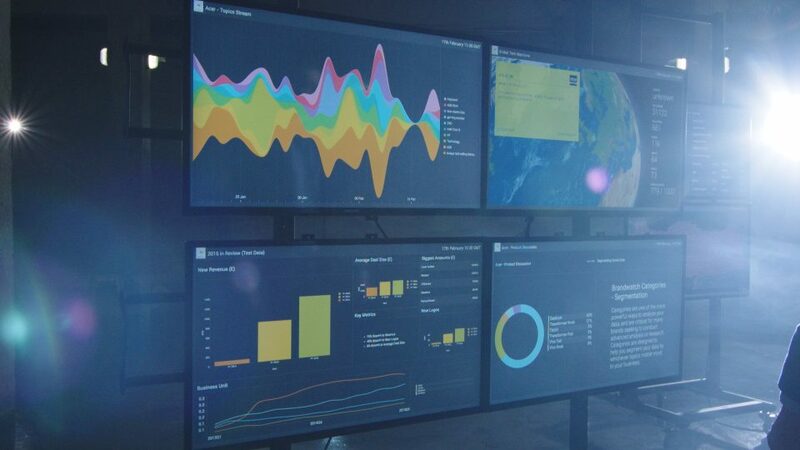 With 40+ visualisations, turn any screen, anywhere into an impactful, live data display and single source of truth. Forget about PDF reports or PowerPoint presentations which don’t engage or leave little to be desired by way of actionable insight. Leverage 10+ years of Crimson’s proven technology which blends human intelligence and artificial intelligence with machine learning to analyse and group text (even your own via API) into custom categories or topics for analysis. Reach out [email protected] for a demo to get across these technologies for the enterprise and explore what Crimson, Brandwatch and Vizia can deliver to your team.